This weekend we hosted as RS200 alongside a Tinker Travellers open, as well as a fleet challenge for club members. The wind did freshen slightly from the forecast direction, but would it hold for the rest of the afternoon? Although it eased for a while, fortunately it did pick up again just before the start of the final race which seemed as it was going to be dire because the rain had started to fall. Val Bell took a clean sweep of all three races before rushing off to a 90th birthday party! Some early morning mist on Sunday should have been a hint of things to come – no wind! However, it did fill in late morning, then eased, but came back and settled down. However, the sun shone, and it turned out to be an excellent day’s racing. Julian and Robert Cruickshank had a good start in the 5th race and managed to fend off Val and Ken Bell despite only flying their spinnaker on one leg, but it won’t stop Val taking the trophy. 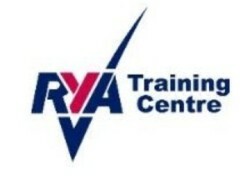 In the RS200s the delayed start due to lack of wind meant there would only be 7 races sailed out of the 8 scheduled. 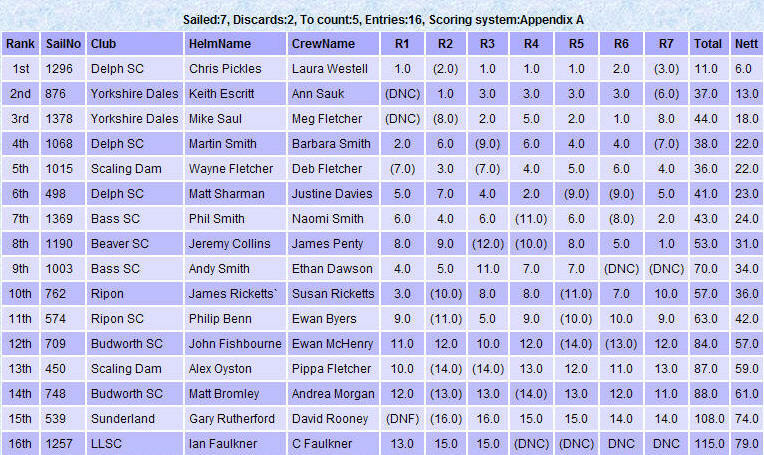 Chris Pickles and Laura Westell from Delph sailed consistently to have a clear win with 6 points (five races to count). Phil and Naomi Smith were top Bass boat finishing 7th overall.